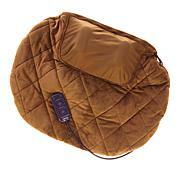 Snuggle up to Sqush and enjoy a soothing massage any time, anywhere. 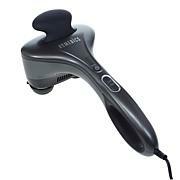 It fits right into your décor and is perfect for massaging sore shoulders, neck and back muscles at home or on-the-go. 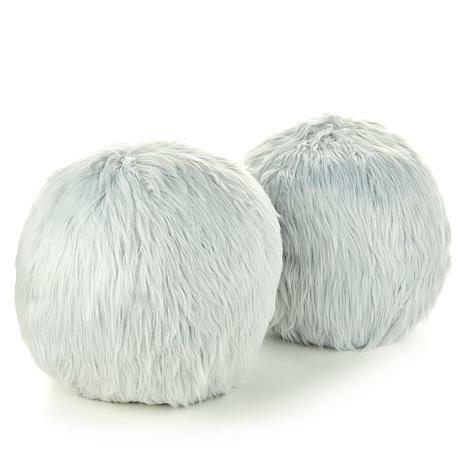 Stylish faux fur accents almost any décor and feels so soft and snuggly that you'll want a Sqush in every room. Those with the following conditions should consult their doctor before using this product: pregnancy, diabetes, heart disease, malignant tumor, conditions requiring rest, pacemakers, or any other concern regarding your health. Not for use by children. This is not a toy. This product contains small parts that may present a choking hazard for young children. Due to Minnesota law and to California's Proposition 65 law, this item cannot be sold or shipped to anyone living in the states of Minnesota and California. These pillows are really comfortable & the massage is helpful with my back issues. 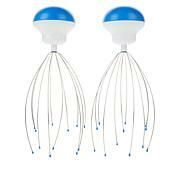 i bought these for my grandchildren who play a lot of sports and I thought it was a great way for them to relax their muscles after playing games. even my son and daughter-in-law likes these for their backs! great product. I did not read the reviews until after I bought these and was worried about the battery box and getting the pillows to work. After opening I got the batteries in fine and Im using it on my back right now!! I didnt realize it was pressure activated but sitting against it works perfectly fine for me! I dont think it will work on my neck as well but overall Im happy! These are quite large. But in case you can get the batteries into the case they are just big pillows. You will need a very tiny screwdriver to open the battery box. The pillows arrived very quickly. I love them, even though they are the wrong color. I ordered pink, but received lavender. I am disabled and it's too much trouble to get out to mail them back....so I will keep them. The massage feature is nice. Help relax your body, renew your spirit and simplify your life with this extensive line of personal wellness products. 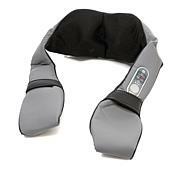 Beginning in 1987 as a leading manufacturer of back and body massagers, the HoMedics company now offers a complete line of home personal care, wellness and relaxation products.